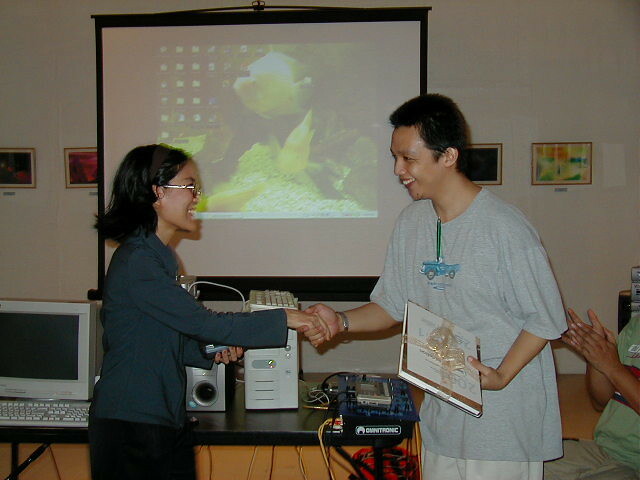 I was asked to give a talk at the University of the Philippines’ Fine Arts college during their first digital media festival in 2001. The topic? Using software to create digital music. I demonstrated the program Acid Pro in front of a live audience. In attendance was Karlo Samson, who assisted me with live electronics and sampling. We lugged my entire desktop PC to the venue and had a fun time showing the room what we do for fun. Though the Festival focused on video-based and web-based works, Lasay made room for audio with a live electronic music session conducted by Lionel Zivan Valdellion (sic), online content editor of Doubleslashmedia.com. Valdellion (sic) illustrated the use of Acid Pro a digital audio compositing program similar to Photoshop where an image is composed by manipulating its various layers.